How many times have we all heard from so many modern-day prophets that the Golden Age is right around the corner? How frequently have they predicted the dawning of the New Age … to begin tomorrow or next week or last year? The miraculous transition from the Iron Age to a Golden Age in a matter of years, months or even days? How often has the end of the Kali Yuga been prophesied to end, and the Satya Yuga about to begin next week? We do not intend to rain on the parade of one failed prediction after another, one premature prognostication after another, one puerile presage after another. However, when one engages in the ‘business’ of prophecy as so many psychics, astrologers, mediums and New Age thinkers do these days, one inevitably sets oneself up for failure — BIG TIME! Now we are not suggesting that HUGE changes are not right upon us. That’s all we write about here at Cosmic Convergence 2012 in all of their myriad and multifarious manifestations. What we are pointing to is the utter futility of making hard predictions about specific happenings. This type of utterance represents the encroachment on the domain of the Divine. When we make this error, truly, we make the mistake of thinking we can play God. Only the Highest Power possesses the right use of will, knowledge and action to be able to accurately prophesy the future. And, yes, His very few chosen instruments are edified, enlightened and empowered to do the same. So, the question leveled at the many self-appointed prophets of the End-Time is: Where are your predictions really coming from? On whose authority are you able to speak with such certainty and confidence? Based on what body of wisdom are you able to utter such earth-shaking prophecy? May we begin this screed with the following recommendation … to the great majority of these prophets? The following quote was directed at the Mayan Prophets of 2012 and their many attempts to identify the exact date of the end of the Mayan Calendar Long Count. These words of wisdom are equally applicable to all the other augurs and oracles of this still-new millennium. What’s the point? When anyone disseminates their predictions throughout the world via the internet, they are bound to influence a lot of readers. Many of these readers lack the context and background to properly understand the extremely dynamic and fluid nature of the times that we live in. Therefore, they accept at face value the statements of so many who have foolishly entered this extremely sacred realm of prophecy. In fact many individuals and families, intentional communities and other small collectives have organized their entire lives around what they believe will happen tomorrow … or next year. They have sold their homes, quit their jobs, given away their pets with the expectations that something of great consequence will happen shortly. Of course, in all the messaging of this type we see two distinct categories. I. Those who bear the great news of a Golden Age which may likely begin on December 21, 2012 or some other predetermined date in the not too distant future. II. Those who bear terrible news (usually quite apocalyptic or armageddon-style) about the end of the world, the end of time, the end of their life, the end of the nation, etc. In both cases, the prophets of doom or boom greatly err when they point to a specific time, or place, for the fulfillment of their prediction. First of all, it virtually never happens. Secondly, they exert influence on people’s lives in such a way that it could be construed as playing God. Whenever anyone ventures into this highly privileged province of soothsaying, they do so at great risk. By writing or speaking prophecy in the public domain, they inevitably impact the lives of all who receive their highly consequential conjecture. They are also setting themselves up for great failure, as they are setting up other souls who rely on their perceived knowledge and implied recommendations. The most obvious illustration of this dynamic in this game (business for many) of prognostication is the widely diverging narratives which are told by two sides – the doomers and the boomers. We are not referring to Baby Boomers incidentally, although they are represented in the greatest numbers by these two forecasting teams. We are speaking to those who claim a new and glorious Golden Age will somehow emerge out of the chaos and confusion of the existing planetary order. The Golden Age will come as it always does, but when? Here we come to the central thesis of this essay. Many a New Age prophet has pitched the idea that a beautiful and wonderful Golden Age is upon us, and that the entire civilization is about to mysteriously slip into a veritable Garden of Eden. We hear that 2012, 2013, 2017 and 2023 are all potential times for such an awesome and implausible global metamorphosis to occur. Some have even said such a worldwide phenomenon has already occurred, some just don’t have the right perception to recognize it!? This is where we would like to appeal to common sense. Particularly for those from whom the human faculty of reason has not fled, we pose the following scenarios and ask the following questions, weighty and provocative though they may be. 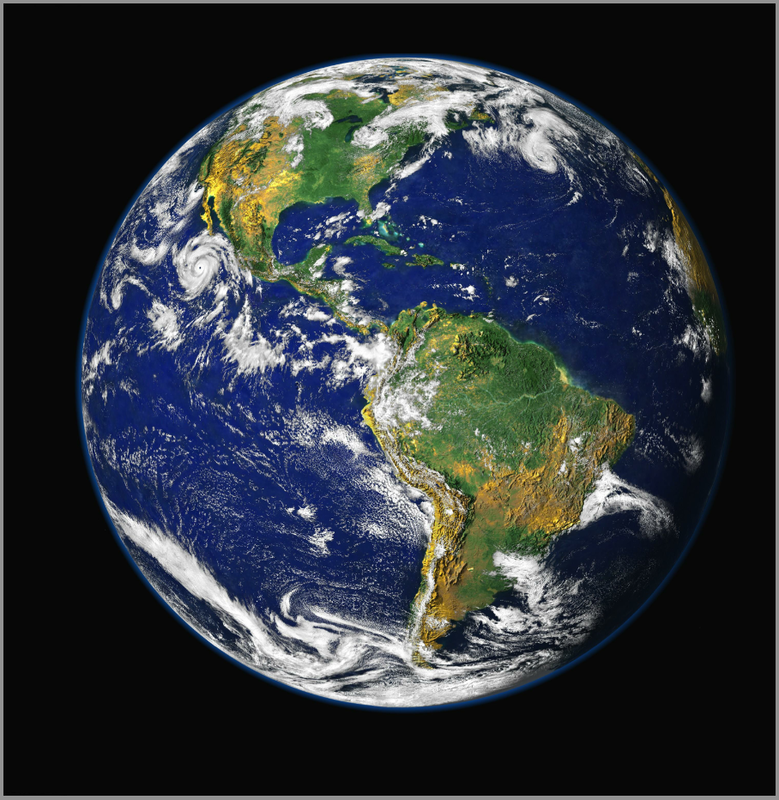 Planet Earth is now home to more than seven (7) billion human residents. We are spread across the four corners of the earth, but highly concentrated in urban areas that are experiencing unprecedented technospheric breakdown, social unrest, economic collapse and financial hardship. How will these countless cities miraculously morph into centers of enlightenment and abundance in light of their current predicaments? Or does the upcoming Golden Age somehow exclude these ever-growing caldrons of unnatural population density? How will Mother Earth correct all of the environmental imbalance which currently exists everywhere you look? How will the countless ecosystems heal and rejuvenate themselves so they might become components of the soon to be regenerated global Garden of Eden? How will humankind properly process all the pollution which pervades this entire plane of existence to an extreme? Especially since much of it is unseen and unacknowledged? What does the Earth do with all the stuff created by decades of Consumer Society accumulation? How does the society cure all the social ills, implement a workable economic model, overhaul a financial system, and fix all the political machinery that has been broken since day one? How will the planet transition in an orderly manner away from the Hydrocarbon Fuel Paradigm, the Nuclear Power Paradigm, the Fossil Fuel Paradigm? Will free energy simply liberate us in a day from all of these profoundly and fundamentally flawed energy platforms? Some of you reading this don’t even understand the extremely urgent need to address each of these pressing planetary energy problems. Now to the homes and houses, condos and townhouses, apartments and dwellings of every sort and kind. Also, let’s consider the true condition of the multitude of office buildings, strip malls, businesses and industrial plants that dot the globe. What are you going to do with them? Knock them down? Very good idea, but where will you live, work and play in the meantime? Why are we even going here? Because the very blueprints and building materials and floor plans and air conditioning systems and heat pumps and plumbing and electrical wiring and carpets and particle board and so on are all in serious need of being addressed. That is, of course, if you plan on living in a healthy and vibrant state during the upcoming Golden Age. On the macro level, what will the nations do to repair, rejuvenate and revivify their many urban centers? 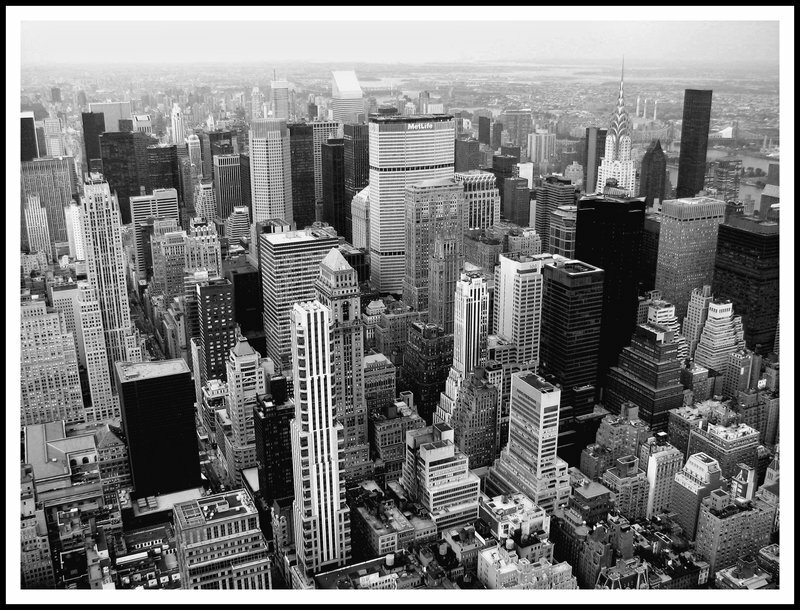 What can possibly be done with a New York City (the Big Apple?!) or Tokyo, or Sao Paolo, or London and Paris and Rome? Is this the quality of life we would want to bring into a Golden Age? Mumbai and Kolkata, Los Angeles and Chicago, Beijing and Singapore, Rio de Janeiro and Mexico City likewise pose a problem or two, don’t you think? By the way, while all of these steel and cement metropolitan jungles are being redesigned, rebuilt, or rehabilitated, where are the billions of inhabitants living in the meantime? How do they live and eat, work and play? In what ways are they specifically participating in the Golden Age?! Let’s turn our attention to the greater planetary environment. We don’t mean to belabor this subject; we only intend to get you thinking about those predictions of a Golden Age popping into reality. Rather than dissect the current state of the world’s environmental profile, perhaps we ought to consider a few poignant and telling questions. What are we to do with Fukushima, or the Gulf of Mexico, or Chernobyl, or the Niger River Delta? What is to be done with the multiple missing mountaintops and myriad cavernous coal mines? How do we predict the next sinkhole due to aquifer over-drainage, earthquake from fracking, or drought and deluges caused by nuclear testing (yes, nuclear detonations profoundly affect the weather patterns)? Where do we convey the Great Pacific Garbage Patch to? How do we address the innumerable city and county landfills? What to do with all the discarded technology in the form of cell phones, smartphones, computers, TVs, ipods and ipads, sound system components, routers and modems, copiers and fax machines, etc., etc. etc.? And how about the bigger items which are emblematic of the Consumer Society? Automobiles and motorcycles, SUVs and trucks, railroad cars and airplanes, jets and helicopters. And how about all those weapons of war which still litter the battlefields on every continent and in every sea? Tanks and battleships, minefields and unexploded bombs, humvees and armaments? Not sure any of these have a place in the Golden Age, do you? Certainly, we could recite an unending list of human folly which is quite graphically illustrated on every square inch of the globe. But that is not the point. The crux of this exposé is the implausibility of the many predictions made by those with good intentions and totally unrealistic expectations. Really, how do we go from the depths of the Kali Yuga to the heights of the Satya Yuga in a matter of months … or days … or even years? Some even suggest it will happen in the twinkling of an eye with a Second Coming! How does the planet transform itself during the darkest and densest time of the Iron Age into the light and refinement of a Golden Age without going through an extended period of profound planetary transformation? Can Mother Earth truly rejuvenate herself without doing some very raucous rocking and rolling? Look at the place – closely – without the filter of your entitlement complex and consumerist values and Westerner outlook. Strip away your many layers of American acculturation, academic brainwashing and religious imprinting. Only when you let go of the inordinate love of money, the stuff that it buys and the conditioned need to be ceaselessly pampered and incessantly gratified, will your vision be clear enough to see the sobering mundane realities which surround us all. We did not wish to dwell on the unsavory plight of the planet, but this is a reality check. There is, of course, an alternate reality which can also be perceived that is made of light and joy. Actually, it is made of Consciousness, the perception of which eludes almost all of humanity. Nevertheless, it is present in each and every moment for those who have eyes to see and ears to hear. When one apprehends this greater and more subtle reality, they are able to peacefully exist in the seeming contradictions which abound throughout this realm of existence. They acknowledge the truth within themselves and do not fall prey to the delusions of others, especially those false notions which would thrust them into a Golden Age which is coming at a time and place in the not too distant future. The next time someone clings tightly to their understanding of a Golden Age coming by the close of business tomorrow, you might do them a great favor by very gently sowing some seeds of reality. They’ll get it eventually, as the human mind does naturally seek the truth. Especially when the prophecy or prognostication, questions or statements, threats or urgencies are truly existential in nature. As they genuinely are this very day, and as they will be tomorrow and next year. (i) There are more people on the planet than ever throughout the current 60,000 year period of the four yugas. (ii) Those who wish to control the masses can more easily do so by controlling the messaging of the various contrived End-time scenarios. 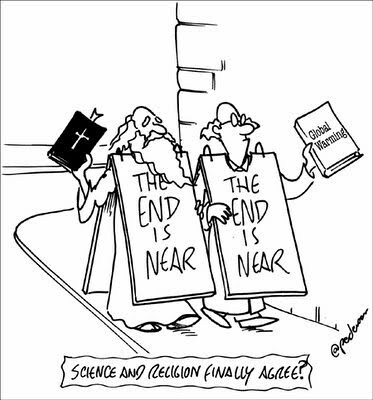 Since the early 1960s, when the man holding the sign on the street corner stating: THE END IS NEAR, society has witnessed a cavalcade of prophets both true and false. Regardless, both varieties say the very same thing: That The End Is Near, so why not get your house in order so that it makes no difference the when and the where. It’s very true that even the false prophets serve a very important purpose during the various and sundry end-time dramas which are unfolding everywhere in real time. They really do function as unwitting instruments to help us get prepared for the real event. Kind of like a dress rehearsal. Some of them are so convincing that many are able to liberate themselves from the many fears associated with the most terrifying apocalyptic scenarios imaginable. However, the prophets trumpeting that a Golden Age is right around the proverbial corner forget to mention that the “corner” will be as challenging as any to successfully negotiate. Even for the most spiritually developed and realistically aware among us, the end of the Kali Yuga presents formidable challenges. This convenient omission has set up millions to believe that some sort of a rapture event will save them from whatever their karma has determined their destiny will be. Many of the Golden Age prophets are disseminating a message which is planting a seed of hope and positive expectation during a period of great trial and tribulation. That a Golden Age is on the horizon, there is no doubt. But when such an age of light and love might manifest is truly what is at issue here. Which brings us to a quite significant understanding about the role that each of us can play in determining the future of our world. In truth, humankind possesses the power to shape it’s future within a larger karmic context. There do exist an infinite number of possibilities at any given point in time which varies from moment to moment. Wherever the weight of the collective consciousness lies is where the human race is destined to end up. For instance, as a planetary civilization, there is a pronounced trajectory which has been established since the inception of the Consumer Society. Should this trajectory not be altered in a profound, decisive and meaningful way, then there’s no avoiding a global predicament which will quite accurately reflect a highly consumed planet to include decimated rainforests, overcrowded urban jungles and overfished oceans. The twilight of the Kali Yuga presents a highly unpredictable set of circumstances, as well as a very unique opportunity for us both individually and collectively. The rare convergence of cosmic energies and sublime vibrations “in our neck of the woods” are such that the future is within our capacity to change. However, a sustained critical mass of positive consciousness is necessary to effectuate the change that many of us want to see in this world. The Kali Yuga will always end in the same way, since the vessel known as Planet Earth must be cleansed and rejuvenated to accommodate the next race of humanity during the incoming Satya Yuga. However, this transitional period (the twilight of the Kali Yuga) does not have to be so difficult and full of adversity. Yes, the unprecedented challenges of the Kali Yuga crucible present unparalleled opportunities for spiritual growth and inner transformation. But, on the outside we can smooth out the ride as a rational society evolving toward oneness, or fill it full of bumps and potholes by maintaining the status quo. Truly, the choice is ours to mitigate the effects of the awesome changes which stand between this moment and the upcoming Golden Age. This is where the Cosmic Convergence Research Group really gets to speak its collective mind. What’s really happening when these prophets repeatedly make predictions — wonderfully positive or direly negative — which never come true and always fall far short of the mark … way short?! For those who follow these self-appointed oracles, their expectations will likewise be harpooned each and every time. Letdown after letdown is not a happy place way to live during these very interesting and extremely challenging times. And that is exactly what the false prophets deliver. When there is nothing on the line, there is obviously less loss involved. However, that is not the case in 2012. For many there is a LOT on the line as more and more people live day-to-day closer to the edge financially. Many have serious health problems and medical conditions which further erode their spirit. Others have unsettling employment challenges. Some are tortured by relationship issues, both martial and otherwise which can shake one’s foundations. In the midst of this 2012 context, it ought to be understood that no one ever wants to mislead another. Especially during this critical time of human evolution and planetary transition. Therefore, the prophets ought to carefully gauge their words and qualify their messages so that the uninitiated and innocent do not get hurt. Many people have made critical life decisions based on the utterances of their chosen prophets. In virtually every case the most consequential and weighty predictions have not come to pass. And the recipients hang their head low in disbelief and despondency. They are already “broke, busted and disgusted’; do we want to add to their mental anguish and emotional suffering? Surely the prophets can exercise more restraint now that they have directly experienced a 0 for 100 prediction average, yes? For the true Cassandras and Jane Goodalls among us, we accept that their role is to utter prophecy. And that the purpose of this type of divine intercession is to encourage us to change our ways. Therefore, the best possible outcome in these prophecy ministries is for their predictions not to occur. That is the mark of a true prophet — one who saves the people from a terrible and uncertain fate because the ‘sermonized’ have chosen to urgently respond to a divine exhortation. Cassandra (centre) drawing lots with her right hand predicts the downfall of Troy in front of Priam (seated, on the left), Paris (holding the apple of discord) and a warrior leaning on a spear, presumably Hector. 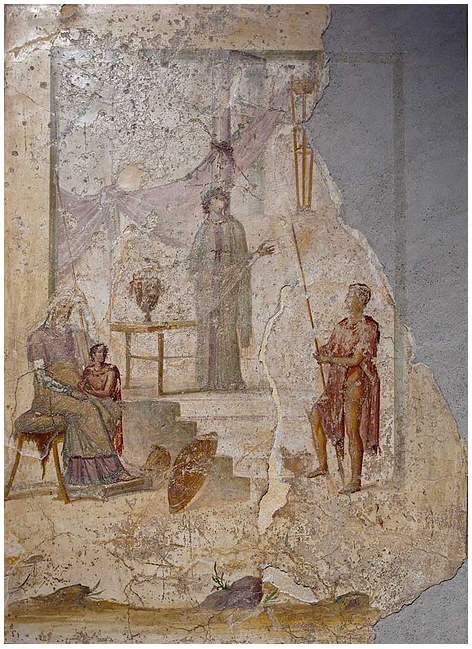 Fresco on plaster, 20/30 AD. From the House of the Metal Grill (I, 2, 28) in Pompeii. Stored in the Museo Nazionale Archaeologico of Naples. 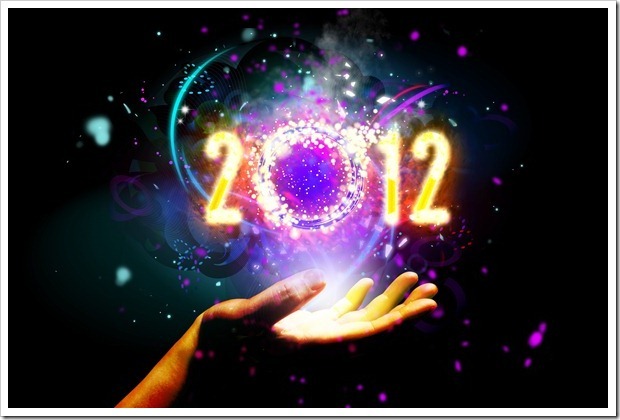 Next articleWho determined that the Mayan Calendar ends on December 21, 2012?